Now you can see some interaction between Marvel and Disney since being bought out by Disney. 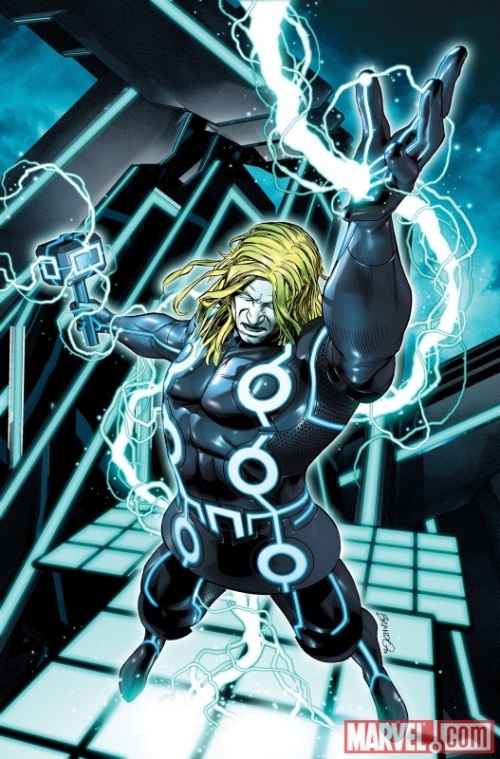 Since there is a huge amount of hype and work that has gone into Tron: Legacy. 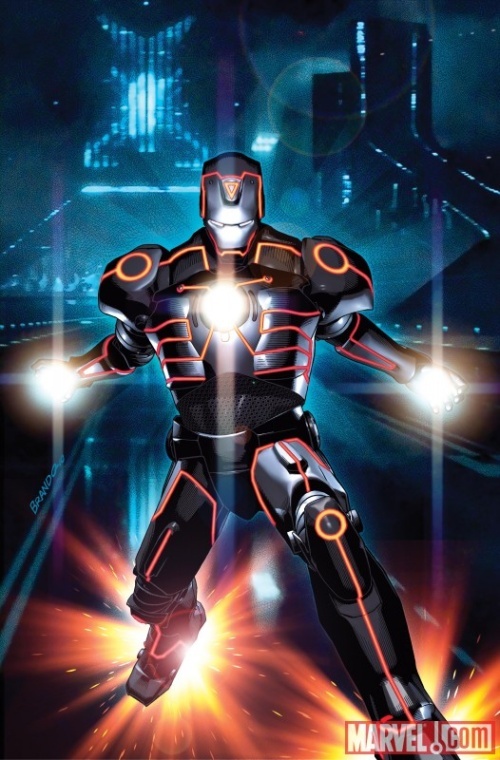 Now Marvel are releasing alternate Tron covers to some of their major characters which is insanely cool. 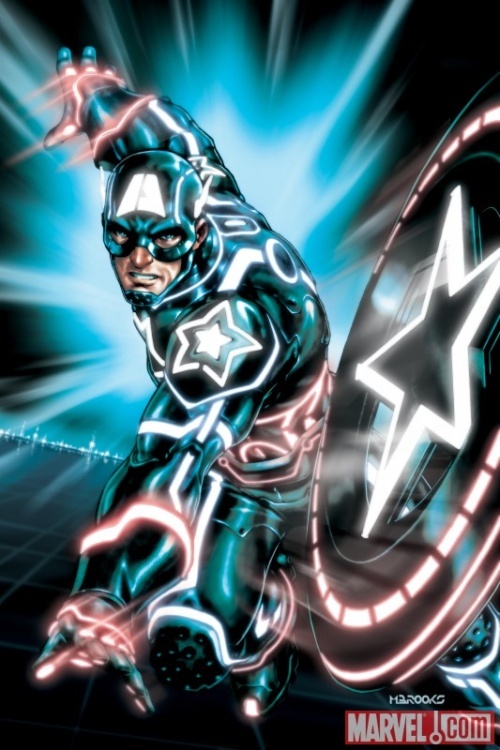 I wish they had this available as panels that you can mount to your wall, the Tron Marvel covers are amazing.